Want to find out what life was like 300 years ago? This fun-filled program introduces children who have completed 1st through 4th grades to life in colonial America. Campers will be immersed in activities that will take them back to a time when food came from the garden and laundry was done with your feet. Find out how you can experience Colonial Camp at Pennsbury Manor today! Experience colonial life at Pennsbury Manor and step back into a world of discovery. Pennsbury Manor features an array of programs that introduce you to colonial Pennsylvania. Meet William Penn, talk to colonial craftspeople and artisans, or take a stroll around the site and meet the animals in the barnyard. Visit us each Sunday from April through October to experience a different living history topic. Don’t miss out, make sure you visit our events calendar to enjoy The Pennsbury Manor Experience! 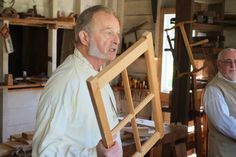 Watch as our blacksmiths and joyners demonstrate how furnishings, tools, and accessories would be crafted in colonial Pennsylvania during the seventeenth and eighteenth centuries. Come out and watch as Pennsbury Manor’s roleplayers re-enact an actual Witch Trial, observe a Quaker Meeting, join in on the Sotcher Wedding ceremony, or sit back and listen in as the townspeople discuss the Pirates at Pennsbury. History comes to life with Living History Theater at Pennsbury Manor! Discover how food was harvested and prepared in the time of William Penn. Stop by the Kitchen House and enjoy a sensory experience as our colonial cooks make dishes based on colonial receipts (recipes). 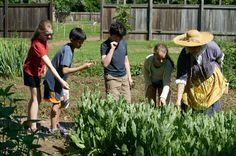 Learn about Pennsbury Manor’s gardeners and how much time and labor was involved in maintaining a working kitchen garden. Take a stroll over to the Brew House and watch as the brewers make a batch of beer. Everyone at Pennsbury Manor had a job to do, and animals are no exception! Visit us on “Meet the Animals” Sunday to learn about the oxen, horses, sheep, geese, and other animals that inhabited Pennsbury Manor.